Step into the Ultimate luxury at TIME, with your own Private Table, Bar, Bottle Service & more! 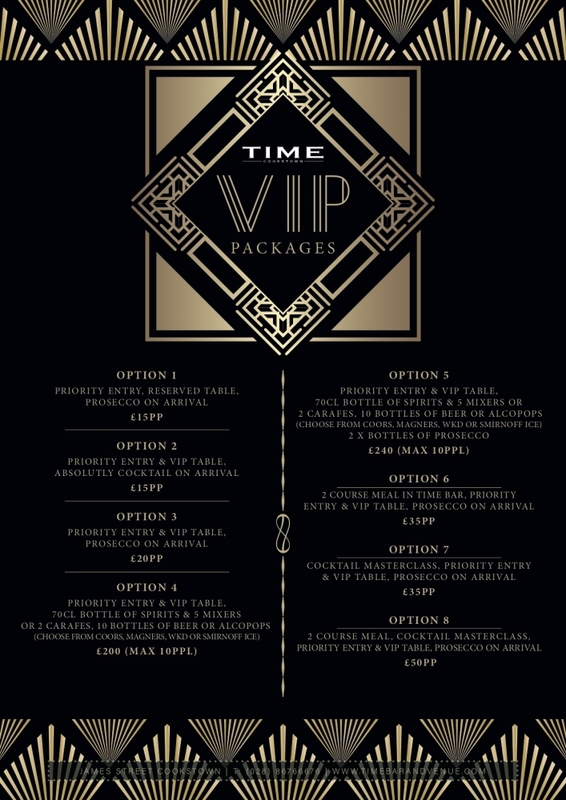 With 3 VIP Suites, Birds Eye View Reserved Areas, Birthday, Celebratory & Hen & Stag packages there is plenty to choose from!! 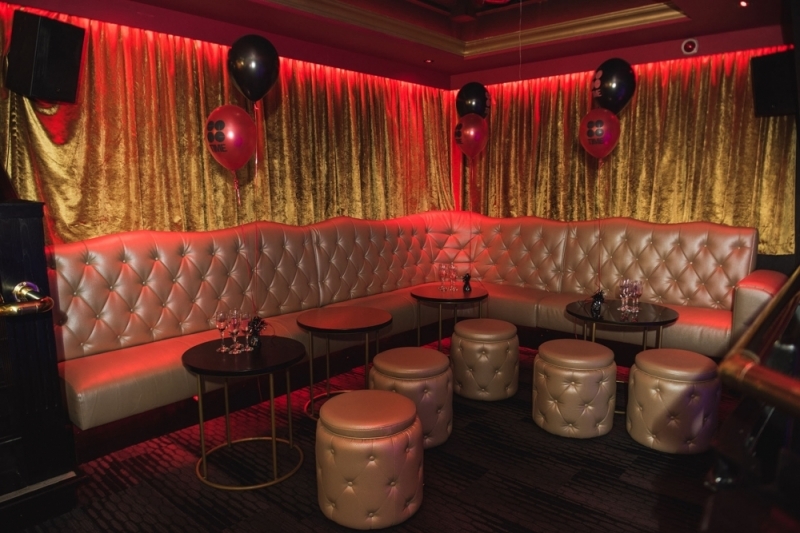 So let one of our experienced party organisers help you decide whats best for you & your party and organise it for you from start to finish!! 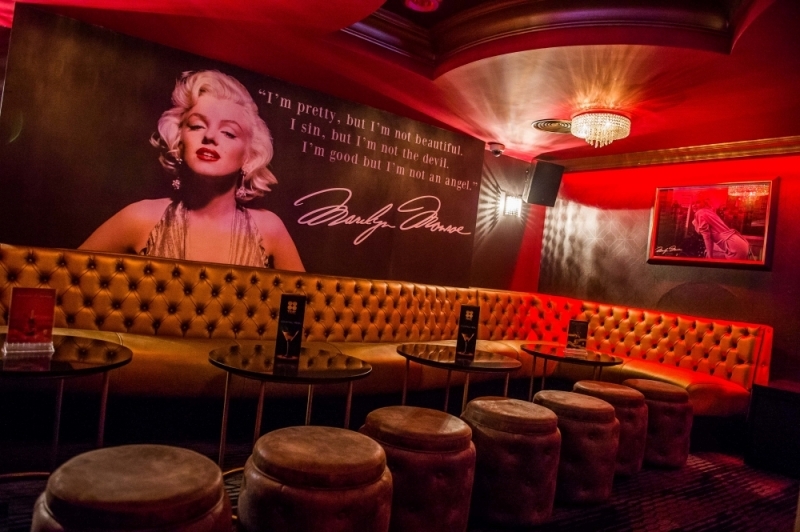 Email bookings@timebarandvenue.com or Call (028) 867 66676. 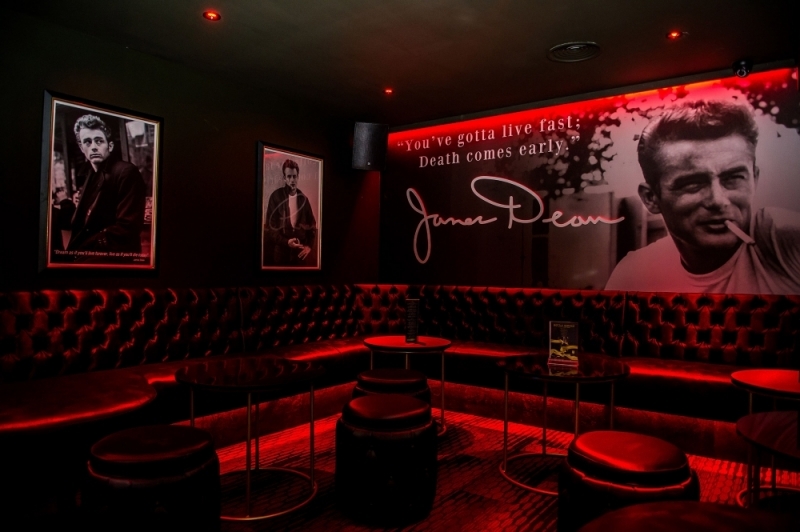 We offer a vast range of party packages to suit all occasions. For more information please call us on (028) 86766676 or click the button below. Make, Shake & Stir until you're a pro! 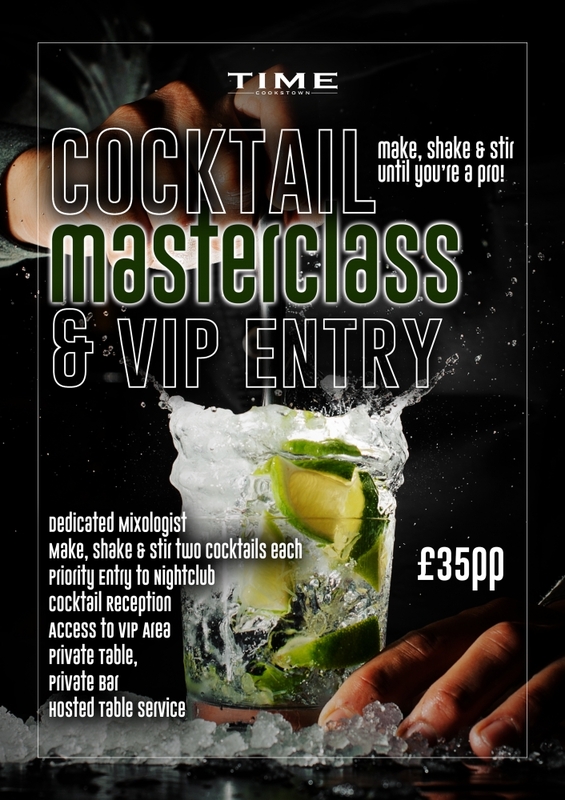 Cocktail Masterclass & VIP Nightclub Entry for £35pp.